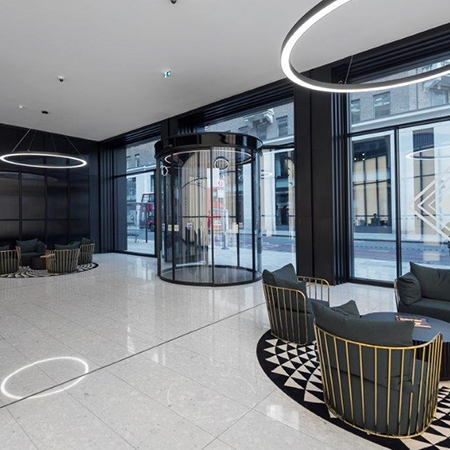 Automatic circular sliding doors from GEZE UK make a statement at the newly refurbished No 1 New Oxford Street. 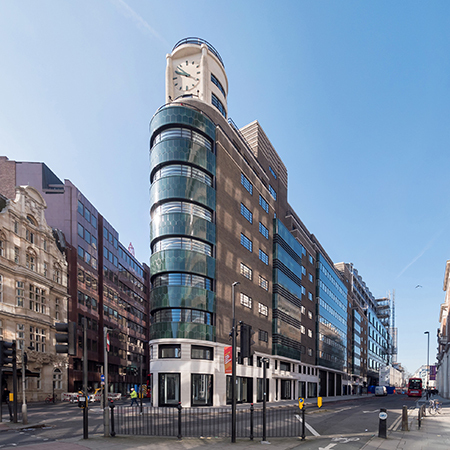 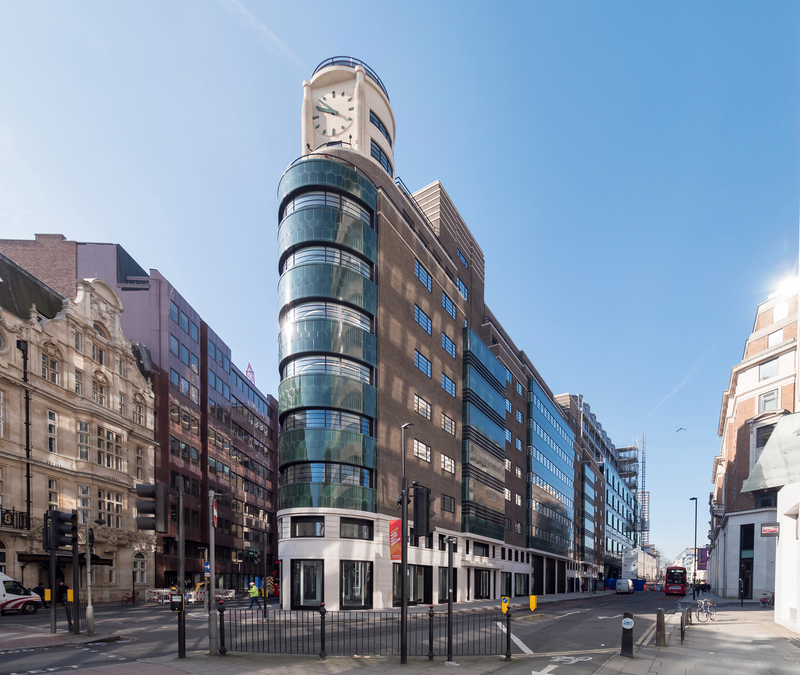 No 1 New Oxford Street projects a rounded nose to its edifice, topped off by a modern-faced clock tower designed by its original architect Henry Philip Cart de Lafontaine in 1939. 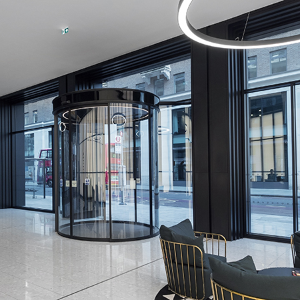 The entrance was require to fit seamlessly with the existing architecture. 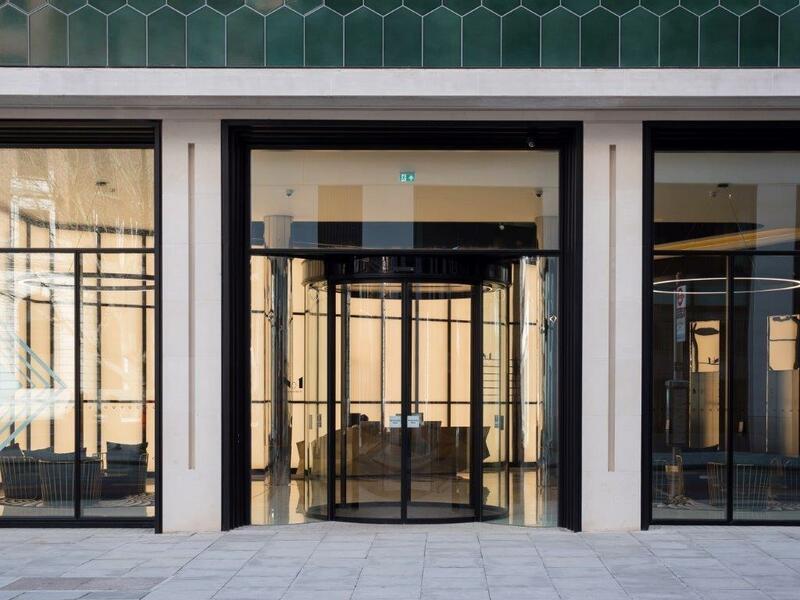 A GEZE Slimdrive SCR was used to provide the light and airy entrance, flanked by curving glass panels to the side which flow into the original columns, and topped with a glazed fanlight overhead. 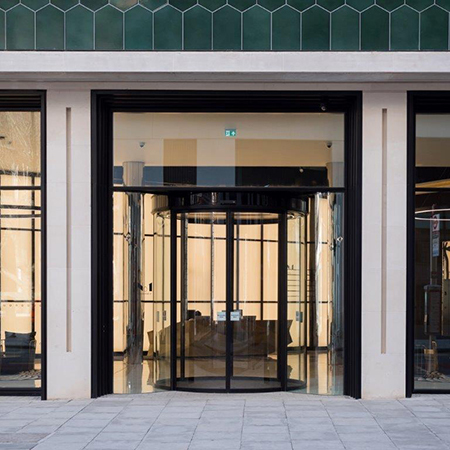 This frontage allowed the sliding doors to be recessed into the entrance, allowing it to seamlessly flow into a new lobby area. 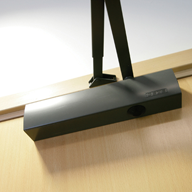 One of the benefits of the Slimdrive SCR is that it combines high performance while remaining discreet. 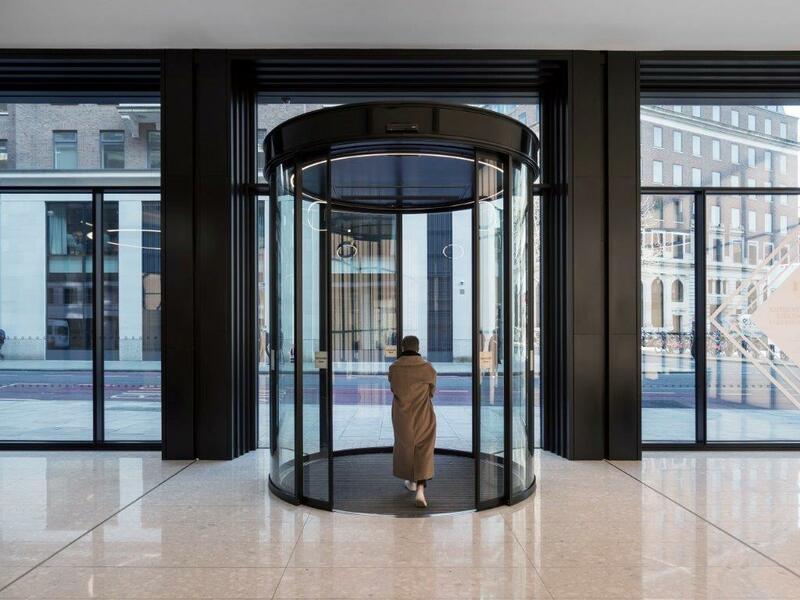 It has a low operator height of just 7 cm and is therefore very unobtrusive. 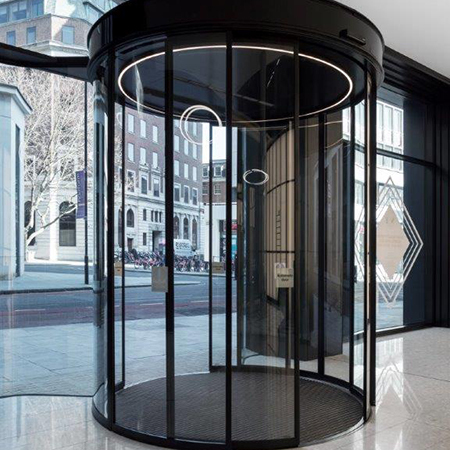 In this case, the Slimdrive SCR was fitted as freestanding entrance – the 360° drive solution is usually incorporated into a building’s facade – but as this entrance was recessed, the installation was adapted to the bespoke requirements of the design. 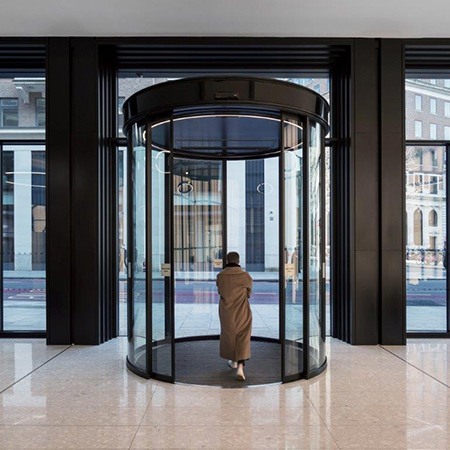 GEZE’s GC 365 sensors were used - combining motion and safety detectors which operate the open and close mechanism while alleviating the need for separate sensors. 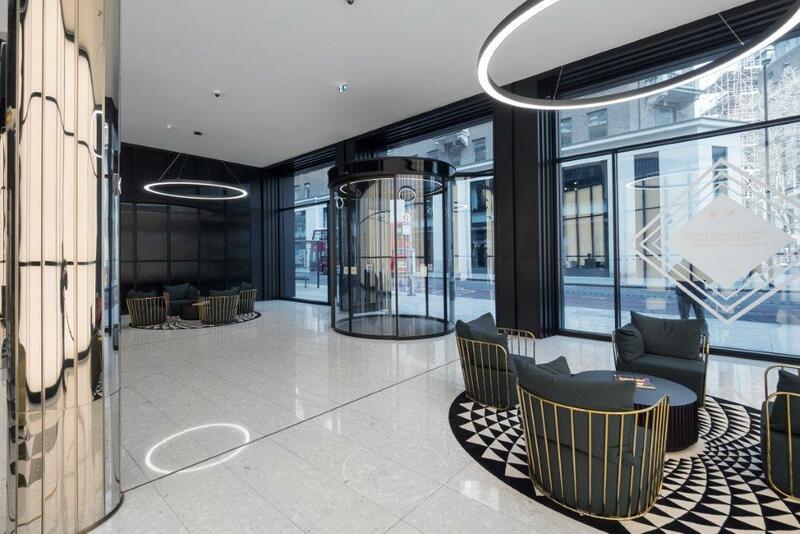 Light rings featured in the lobby area have also been fitted inside the drum of the door – again reflecting the art deco style. 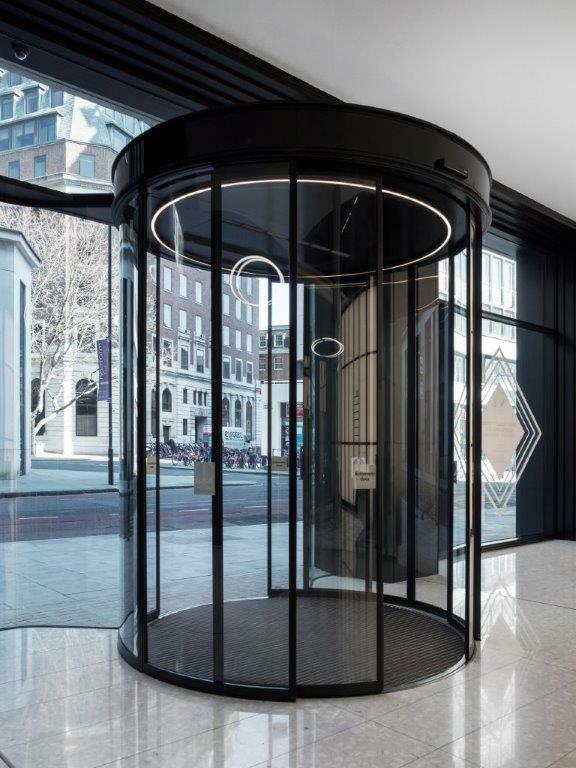 And an air curtain was fitted into the installation to blow warm air over the entrance and stop cold air pushing into the building.